Before the war, Polish beaches hosted royal families and emperors, as well as the era’s icons of dance and cinema. Kings, emperors, Mata Hari, Marlena Dietrich, and Poland’s own stars of the artistic and political scenes all took to the sandy coast of the Baltic sea, as well as the wilder cliffs of the Dniester river. We present you with a series of images that capture the most beautiful beaches and summer resort destinations of the past. 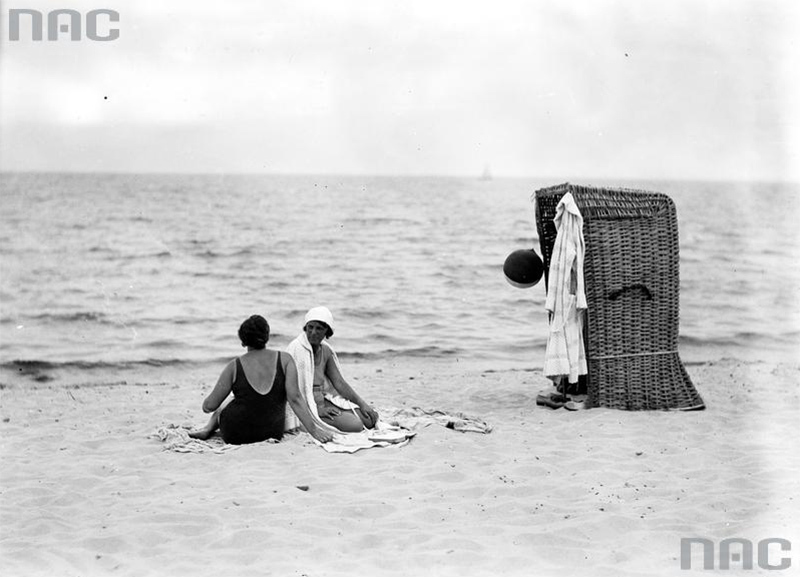 Did you know that the notorious wicker beach chair actually began its career on the Baltic coast? 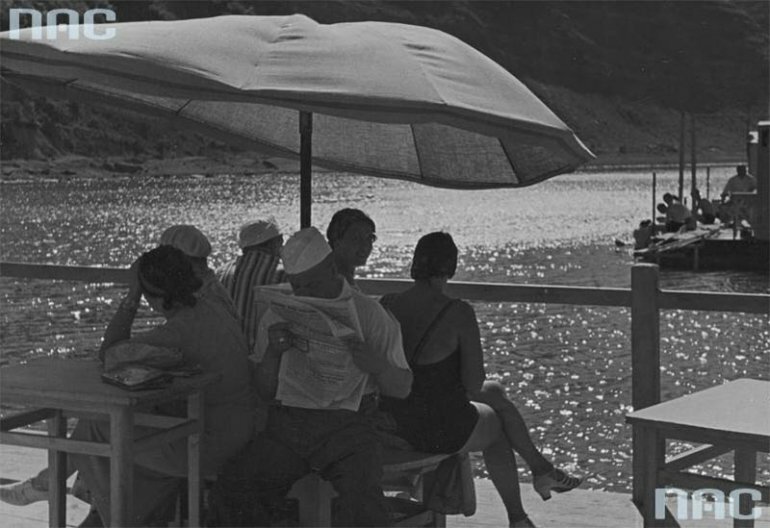 Before the Second World War, Jurata was the town known as the most beautiful, luxurious, elegant and the most modern summer resort destination. The first season was inaugurated in 1931, a couple of years after the opening of a railway onto the Hel peninsula. Hailed as the Polish "Palm Beach”, Jurata buzzed with life, and numerous Polish dignitaries built their summer villas there. President Ignacy Mościcki, the Minister of Foreign Affairs Józef Beck, the Potocki and Tyszkiewicz aristocratic families, as well as Count Czetwertyński and General Władysław Sikorski were all regulars. The most popular Polish artists of the era also visited Jurata, among them Eugeniusz Bodo, the Halama sisters, Tola Mankiewiczówna, Jan Kiepura, Wojciech Kossak and his daughters, Maria Pawlikowska-Jasnorzewska and Magdalena Samozwaniec. The latter recalled an image from the 1930s, with elegant ladies stepping out of their limousines all dressed up in their own dogs. Cafe-Cassino was a popular dancing club, and another venue was the "Juratka" gallery. Wojciech Kossak created his painting called Zaślubiny Polski z morzem (Poland’s Marriage with the Sea) during his stay in Jurata. Central Europe’s creme de la creme met up at the beaches of Świnoujście. The port city was visited by the tsar Nicholas II, as well as the Emperor Frederick William II. The beaches of Świnoujście were also a destination for writers, artists, diplomats and the authorities. Kings, chancellors and emperors also paid visits. The Plażownik Zachodni (Western Beach-guide) magazine tells us that their presence was nothing out of the ordinary. The nearby islands of Wolin and Uznam provided wild terrain for game hunting, reserved only for the royal families and the authorities. After the victory over Napoleon and the resultant political proximity between Prussia and Russia, the royal families of the two countries were very frequent guests of Świnoujście. Other monarchs whose vacation time in the city has been documented include the Swedish heir to the throne Prince Oscar, the Prussian King Frederick William IV, the kings of Portugal and Denmark, and the Austrian Emperor Franz Joseph I. The writer Theodor Fontane is said to have seeked out his literary landscapes here, and the New York-born cubist Lyonel Feininger – painterly inspiration. The most famous woman spy, Mata Hari, also paid a visit to Świnoujście as she toured across the continent with dance performances. In the 1930s, Świnoujście was also visited by Marlena Dietrich. 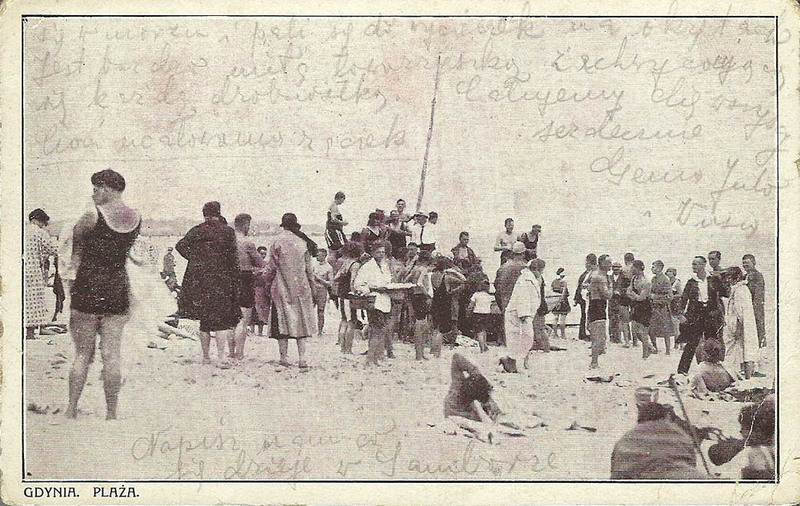 In 1920, just a few years prior to Poland’s marriage with the sea, the writer Stefan Żeromski confessed in a letter to the writer Bernard Chrzanowski: "I dream as if of a paradise, of some kind of a villa by the sea, because here in Warsaw I was sick for so long with the Spanish flu, and it is by the sea that the doctors advise me to live, because of my heart and lungs". Chrzanowski recommended Żeromski go to the picturesque resort and fishing village called Orłowo. 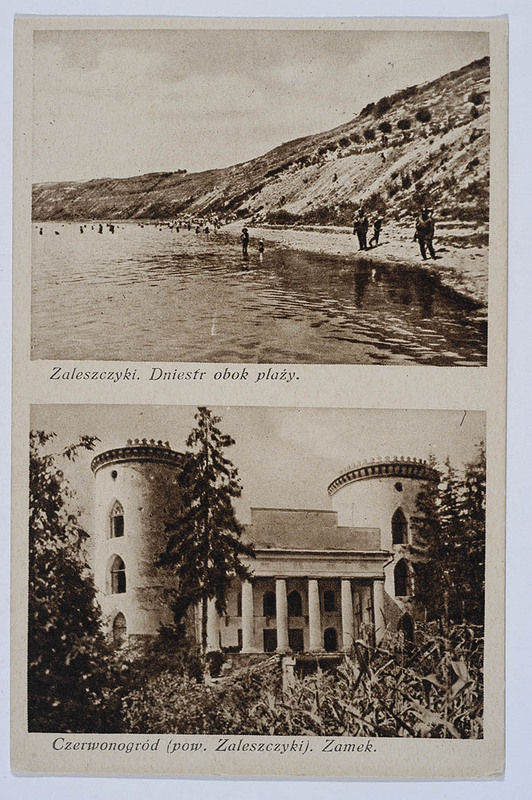 And Żeromski’s villa of choice was a pink fisherman’s cottage right by the beach, near cliffs and the estuary of the Kacza river. 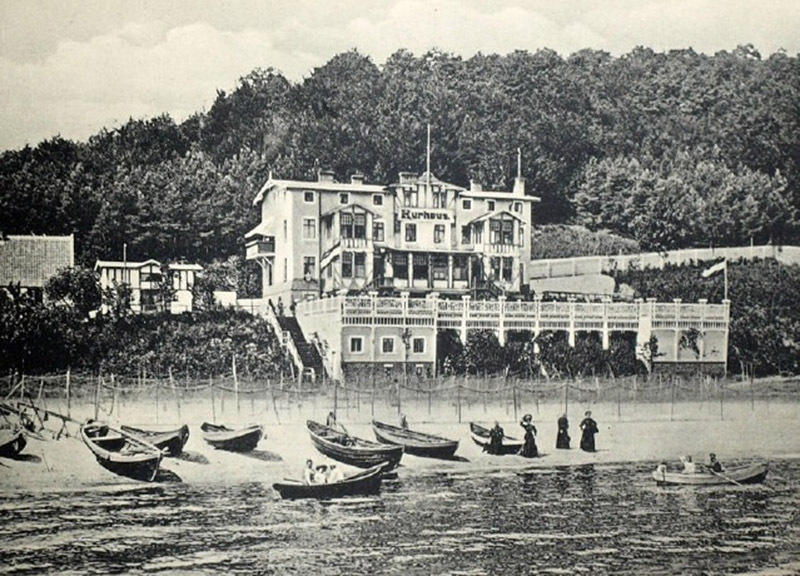 In 1920, Żeromski came here for the very first time. Together with his wife Anna and his daughter Monika, he made his home in the rented house. He was frequently visited by other writers and poets, among them Jan Kasprowicz, Jan Lechoń, Antoni Abraham and Aleksander Majkowski. Żeromski noted: "I travelled a lot around the world, but I haven’t seen such a beautiful little nook anywhere, with such a combination of the sea, the forests and the hills and cliffs. I feed peaceful and happy here". While in Orłowo, Stefan Żeromski wrote the novel Sambor and Mestwin, in which he told the story of two huge beech trees that he spotted during one of his walks in the Witomno area. He is known to have gone on horseback and trekking excursions in the area, and he once also travelled by boat to Hel. Europe’s longest wooden pier, stretching some 512 charming metres into the sea constituted Sopot’s flagship attraction. The very first pier raised in the area was modest, only 30 metres long, and it was constructed as early as 1827, on the initiative of Jerzy Heffner. In the late 19th century, more piers begans popping up on Baltic beaches, including Orłowo, Westerplatte, Jelitkowo and Brzeźno. Sometimes they were little more than wavebreakers adorned with lanterns. And what did the beach-going elites prefer as their source of entertainment? Sand sculpture competitions were popular, as well as horse races, sport tournaments, dances, social gatherings, and… gambling. It was thanks to the money made with gambling that the city was able to afford raising the most modern resort-hotel of the Baltic sea, with both fresh and salt water in its taps. Kasino-Hotel was the original name of what is now the five-star art-nouveau Grand Hotel. Adolf Hitler and his companions watched the surrender of the Hel peninsula through binoculars from Kasino-Hotel’s windows. Recently, the Führer’s bill was submitted to the Sopot city museum, providing the details of his stay. He was accomodated on the high first floor, taking up rooms 251 to 253, and the dining room 261. 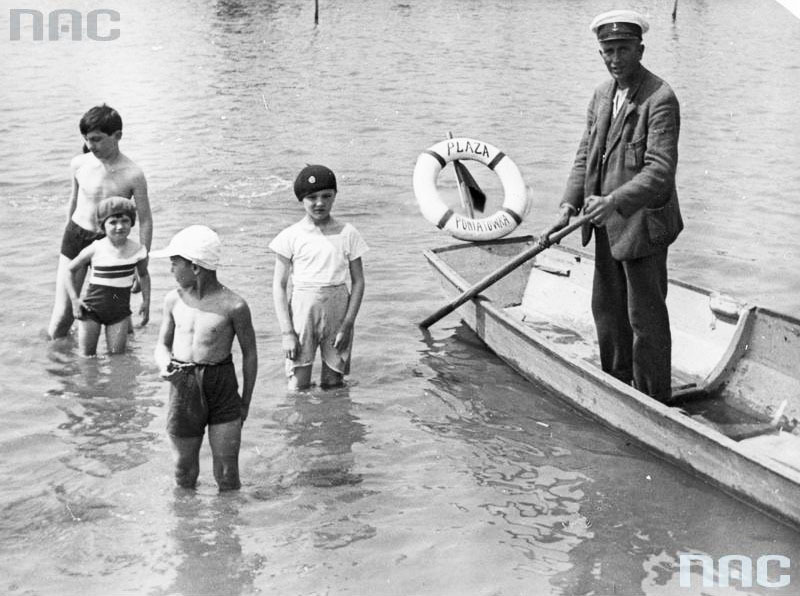 Exhausted with the summer heat, Warsaw-dwellers took to the riverbanks of the Vistula river from as early as the 1920s. Many attractions were organised by the riverbanks, including sports tournaments, beer gardens, dancing parties and feasts. Poland’s queen of rivers was the capital’s source of refreshment, and its crystal-clear waters were also filled with fish. 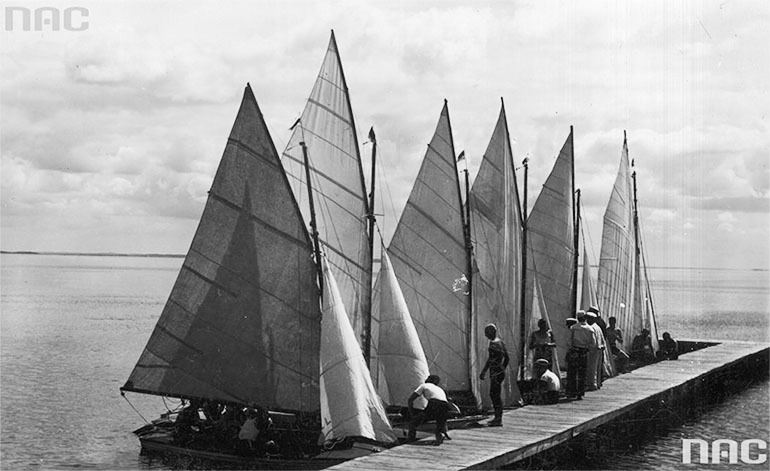 Boats and ships stopped by in its harbours, and the rowing clubs by the Czerniakowski Port as well as those by Saska Kępa were constantly packed. In an article for the Gazeta Wyborcza daily, Jerzy S. Majewski comments that the riverbanks seemed to indeed be a paradise. "There was no fear of stepping into the water. The threat came perhaps from the tricky currents and whirlpools, but definitely not contamination. One could stand up on the Kierbedź or Poniatowski bridge and observe the sandy riverbank from high up. The banks were full in the hot days of the summer. The season of 1939 was particularly great. The beaches were so full, that, as it was counted, for every square metre of the beach there were at least two people. 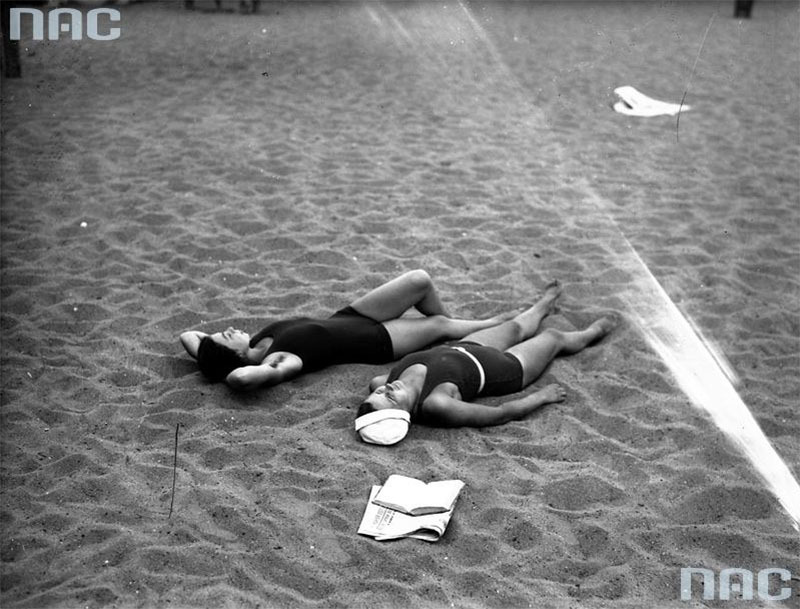 (…) The dwellers of Warsaw bathed in the private beaches like Poniatówka or the Kozłowski brothers’ beach, but also in the public and unguarded beaches." The pre-war press reported, "Nobody cares too much about the lack of comfort. The youth rummages about like dogs let loose off the leash. The older ones majestically let their bellies out onto the sun. The ladies put little leaves on top of their noses, pat them with oils, and, if they are beautiful and well built, they stretch out on the sand or in the grass with no shame." Similarly to our Baltic, it has perfect beaches with fine and clean sand, and high and clean waves. It is transparent to its firm and even bottom, and in places, it even has a few dwarf pine trees, bent by the wind – usually so typical of a sea landscape. (...) Narocz is distinct from our lakes because of its size and its simplicity. True grandeur doesn’t need petty decorations. Narocz, too, does without it. (…) Its figure is rounded, gently bent and evocative of a real human heart. If it wasn’t for the grand triangular Nanosy peninsula, which pricks the lake like a rhino’s horn, if it wasn’t for the over-grown left chamber in the north, it would really be a human heart, painted with sapphire onto an emerald map of the country with ancient disasters (…)"
"Dozens of pensions functioned there, and the city received a direct train connection with Warsaw. 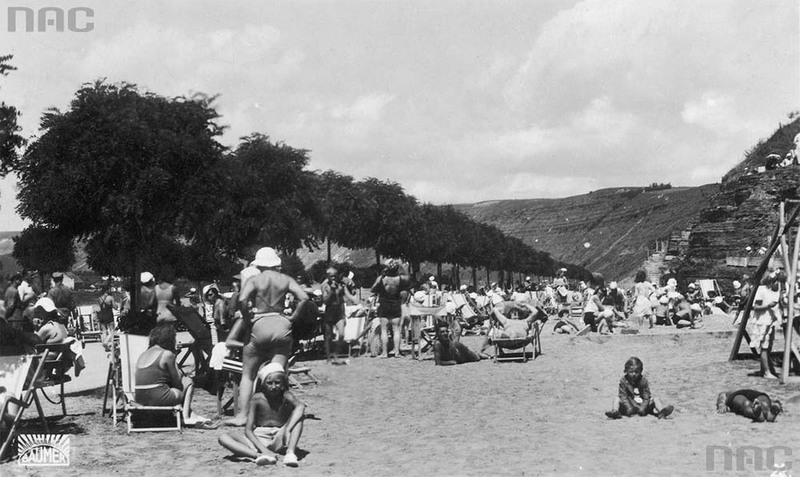 The Dniester beaches had an orchestra play everyday, and many dance parties were held there. Zaleszczyki was the Polish Riviera. It was also the great fruit and vegetable garden of pre-war Poland"
Vacationers cooled themselves with wine and watermelon, which they called "kawon" . Zaleszczyki was also home to the very first and unofficial nudist beach. This here is Kraków and the beach chairs with a view onto the royal castle. 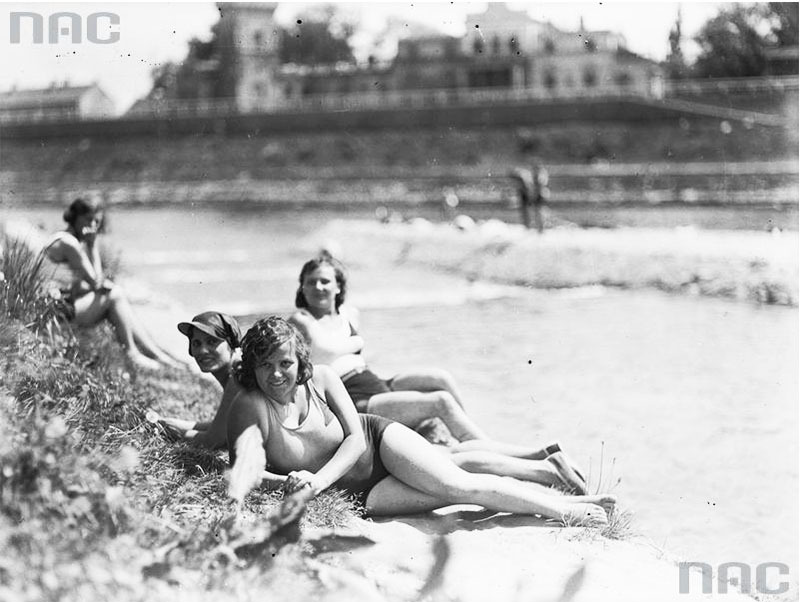 The photographs below depict the first Kraków beach leased by the Towarzystwo Uniwersytetu Robotniczego (The Labour University Society), which was always extremely popular during the summer. sources: Kresowiacy.pl, Gazeta Wyborcza, "Tryptyk Warszawski" Marka Ostrowskiego, Plażownik Zachodni, wyd. Agora, wikipedia.pl, www.gdynia.pl, Przedwojenne Wybrzeże, muzeum miasta Sopot, www.jurata.net.pl, rp.pl, dziennik.pl, Tawerna Orłowska-Domek Żeromskiego.